The IRS has announced that starting 5/13/19, only individuals with tax identification numbers can request an Employer Identification Number (EIN) as the responsible party on the application. (The responsible party is generally the person who ultimately owns or controls the entity.) Individuals designated as the responsible party must have either a Social Security number or an Individual Taxpayer Identification Number (ITIN). According to the IRS, this change will prevent entities from using their own EINs to obtain additional EINs and will bring greater security to the EIN process. The IRS has decided to make this announcement now to give entities and their representatives plenty of time to identify the proper responsible party and comply with the new policy. News Release IR 2019-58. Do you need to sign your e-file authorization form? IRS Form 8879 needs to be signed by you before your taxes can be e-filed. If filing jointly, your spouse needs to sign as well. If you haven’t already, please return the signed form ASAP to ensure that your taxes can be e-filed on time. Do you owe taxes on your 2018 tax return? If yes, make your tax payment now! The IRS has several payment options on their website. If mailing a payment, include Form 1040-V and ensure the mail is postmarked on or before April 15. 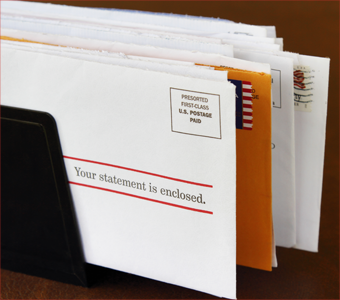 Sending the payment certified mail will ensure you have proof of timely payment. Late payments, even by one day, are subject to IRS penalties and interest. Do you need more time to file? If you are not ready to file your taxes before the initial April 15 deadline, you can file for a six-month extension. Be aware that it is only an extension of time to file — not an extension of time to pay taxes you owe. You still need to pay all taxes by April 15. Do you need to deposit funds in your IRA or HSA? Did you claim an IRA or HSA contribution on your tax return? In order for the deduction to be valid for 2018, all deposits to those accounts need to be made by April 15. Once completed, save proof of the contribution with your 2018 tax files. Do you need to make an estimated tax payment? The first quarter estimated tax payment for 2019 is also due on April 15. If you owe taxes for 2018, making 2019 estimated payments might make sense for you. A quick way to determine a first payment is to divide the taxes you paid by four, and then adjust the amount for any paycheck withholdings. Send your payment along with Form 1040-ES to the IRS by April 15. Then, schedule a tax-planning meeting to determine the best approach for the remainder of the year. Do you like free stuff? Who doesn't?! From free sub sandwiches and smoothies to discounted furniture and delivery services, tax day deals are out there waiting to be found. Check out the list from the Today Show and another from Retail MeNot to see if there are any deals you can enjoy! If you miss a deadline, file your return and pay the taxes as soon as you can to stop accruing interest and penalties. You have many options to pay your income tax. You can mail a check, pay directly from a bank account with IRS direct pay, pay with a debit or credit card (for a fee), or apply online for an IRS payment plan. No matter how you pay your tax bill, finalize tax payment arrangements by the end of the day on April 15. According to the IRS, 90 percent of refunds for e-filed returns are processed in less than 21 days. Paper filed returns will take longer. 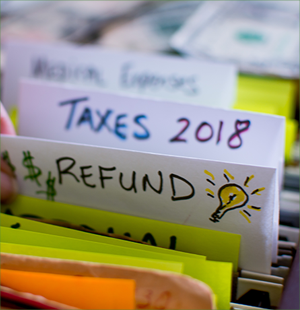 24 hours after you receive your e-file confirmation (or 4 weeks after you mail a paper tax return), you can use the Where’s My Refund? feature on the IRS website to see the status of your refund. Investigate your recurring services. Start by taking stock of every service you are currently using. Review your bank and credit card statements and highlight all the charges that look like a subscription. Some examples to look for are streaming services (video, music and games), magazines, news subscriptions, digital storage services, gym memberships and financial services. Determine if you have redundant subscriptions, such as two music-streaming services. Finally, ask yourself if each service is still providing value to you. If it's not, cancel it. Review bills for unnecessary fees. Once you trim your list down to the services you want to keep, locate the most recent bill for each. Read through all the charges and make notes of those that are questionable. You might be paying for services you aren't using, such as a video streaming service on your cell phone bill. Or maybe you are paying replacement insurance coverage for something you don't need. For every charge that doesn't make sense, call and ask the provider to cancel it. Bundle expenses when you can. Many suppliers provide multiple services and will offer discounts if you sign up for a few of them. Bundling your cable TV, Internet and home phone is a common example of this. Other places to look for bundling opportunities are cell phone providers and insurance companies. Negotiate for lower rates. Call each provider and ask for a lower rate or discount. Most companies want to keep your business, so often times they will work with you. Service providers routinely change the way they package their products, so saving money might be as simple as changing to a different level of service. 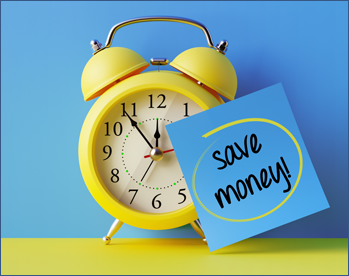 It's rare for companies to reach out and offer savings, so you need to make the call! It's easy for your bills to spiral out of control if you don't keep close tabs on them. Go through a review exercise every few months to ensure you aren't paying more than necessary. Higher take-home pay. Look at last year's W-2 and see how much was withheld for federal income tax. Now check this year's W-2. If it is lower, you will need a corresponding reduction in your tax obligation to get the same refund as last year. The good news? You've had more of your income available to you throughout the year. The bad news? Paying less tax each pay period can result in a lower refund or tax due at tax filing time. Withholding tables are not always accurate. To help employers calculate the tax to withhold from each paycheck, the IRS revised withholding tax tables in February 2018 with a forecast of the impact of new tax legislation. While the IRS did its best to apply the tax law changes to the withholding tables, it did not correctly estimate every individual tax situation. Now, according to the U.S. Government Accountability Office (GAO), as many as 30 million taxpayers may not have had adequate withholdings for 2018. Lower itemized deductions. If you have similar itemized deductions this year as you did last year, they might not go as far as you think. This is because the state/property tax deduction is limited to $10,000 and many other itemized deductions are no longer available. While standard deductions are now higher, those with unreimbursed employee expenses, or those living in high-tax states could see a negative impact on their tax obligation. These changes coupled with the repeal of the personal exemptions could lead to a surprising change in your tax obligation for 2018 and going forward. Your state takes a different path. Depending on the degree to which a state incorporates recent federal tax changes, you could see a big tax surprise on your state tax return. As a result, the nonprofit Tax Foundation is anticipating that many taxpayers will experience an increase in state taxes for 2018. Good news for many families with kids. The expansion of the Child Tax Credit will help offset the loss of the personal exemptions and could actually create a nice refund. The credit is now double at up to $2,000 per child and the income limit is raised to include most taxpayers. If your total taxable income is above the income threshold, your deduction may be limited or nullified. 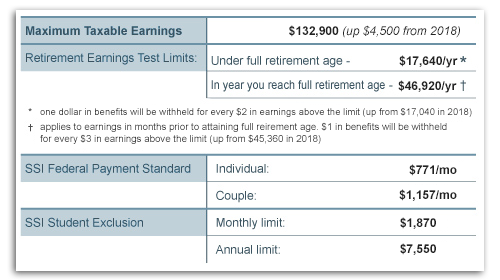 If your income is below the threshold, the calculation is pretty straightforward. If not, additional phase outs, limitations and calculations come into play. The first limitation to consider is whether or not your business is qualified. Certain specified service trades or businesses (SSTBs) are excluded from the deduction altogether if taxable income is over the threshold. If your business is not an SSTB, other calculations related to W-2 wages and basis in qualified business property may be required. Because of new laws many home related tax rules have changed and now require you to prove how funds are used to qualify for a deduction. This is catching many taxpayers by surprise. So when your mortgage company reports tax-related information to you and the IRS using Form 1098, it no longer means all the interest and points reported on these statements are tax-deductible. Mortgage interest deductions have new loan amount limits. For new mortgages starting on or after Dec. 15, 2017, you can deduct interest on up to $750,000 of the loan (down from $1 million for mortgages initiated before Dec. 15, 2017). If your original mortgage is above the threshold, a calculation will be done to determine the deductible amount of interest. You can’t simply deduct the full amount of interest being reported on your Form 1098. Proceeds not used to buy a home add complexity. Proceeds from home equity debt that are not used to build, buy or substantially improve a qualified home are no longer tax-deductible. This includes mortgage or home equity proceeds used to pay for college expenses, debit consolidation or other purposes. Mortgage companies issuing these loans will still send you a Form 1098, but it’s up to you to prove how you use the funds during the current year and any prior year. Mortgage points requires review of settlement statements. Points are paid as a way to obtain a lower interest rate. Generally, points are deductible in the year they are paid, but they have more restrictions than mortgage interest. Points paid to refinance an existing mortgage, for example, may need to be deducted over the life of the loan. If you bought or refinanced a home in 2018, a review of your mortgage settlement statement may be required to ensure proper tax treatment of the cost of your points. Mortgage insurance premiums are not deductible. Congress did not extend the mortgage insurance premium deduction for 2018. If you pay mortgage insurance, don’t wait to file your taxes thinking Congress will change their minds. File your taxes on a timely basis and expect to feel the impact of this eliminated deduction. With these changes, properly calculating 2018 mortgage deductions is more complicated. For each Form 1098 you receive, make a note on the form to explain what the loan is for to ensure a proper deduction. Match the reports…even when they are wrong. When reviewing your tax return make it easy for the IRS programs to match what is being reported to them. If an amount on a 1099 or W-2 is incorrect, try to get it changed before you file your tax return. If not possible, report the incorrect amount (so it matches the IRS records) and then correct it with an explanation. Get your dependents right. You and an ex-spouse must consistently report your dependents. Both of you cannot claim a child as a dependent. If an ex-spouse claims paying you alimony, it must match alimony income on your tax return. Understand the chances of audit. Each year the IRS reports audit rates by income level and type of tax return. While the overall audit rate is around 1 percent, it is much higher for high income tax returns and returns that have small business activity (Schedule C). Look for your tax forms. Forms W-2, 1099, and 1098 will start hitting your mailbox. Look for them and get them organized. Create a checklist of the forms to make sure you aren't missing any. Don't wait for Form 1095s. Once again, proof of health insurance coverage forms are delayed. The deadline for companies to distribute most Form 1095s to employees is pushed back to March 4. The IRS is OK with filing your return prior to receiving the proof of insurance form as long as you can provide other forms of proof. Remember, 2018 is the last year of penalties if you do not have adequate insurance coverage. Overall, the recent IRS message communicated that it’s business as usual, but it will take several days to dig out from the work that piled up during the shutdown. Please call if you have any questions. If you have not already done so, now is the time to review your tax situation and make an estimated quarterly tax payment using Form 1040-ES. The 2018 fourth-quarter due date is now here. * If your income is over $150,000 ($75,000 if married filing separate), you must pay 110% of last year’s tax obligation to be safe from an underpayment penalty. If you've seen the film Jurassic Park, you may remember the dilemma chief engineer Ray Arnold is faced with after a fellow employee steals dinosaur embryos and cuts the power to one of the border fences. Not knowing if the power will come back on and facing the prospect of releasing all the dinosaurs, Ray reaches for the power switch, and delivers the most iconic line in the movie "... hold on to your butts!" The main form is shorter, but additional schedules will likely be required. The new Form 1040 may appear to be simpler, but the filing process is more complex. In fact, the instructions to help complete the new form checks in at 117 pages — 10 more pages than last year. Most of the same information from the previous year is still required, except now it's spread over multiple schedules. Industry experts are planning for a 20 percent increase in tax prep time for this filing season. Forms 1040A and 1040EZ are no longer available. If you previously filed with one of these forms, you will now be using the new Form 1040. In addition to learning the new form, there's a good chance that you'll need to add at least one of the new schedules to complete your tax return. Filings could be delayed. Because of the vast changes in tax laws this year, additional IRS taxpayer guidance is expected throughout the filing season. Because of this, the U.S. Treasury Department put out a warning that there might be delays to the start to the filing season. The most recent government shutdown doesn't help the situation. If filing season starts late, tax season condenses and refunds could be delayed. The best advice is to start preparing now. Grab last year's tax return and create a checklist of documents you need to gather. Pull together receipts, travel logs and other documentation. The more organized you are, the quicker and easier the process will be for you. Have questions? Call for help or to set up an appointment. Retirees Should Check Withholdings...or Else…. Remember, penalties can be added to your taxes if you don't pay enough during the year, so it's important to review your withholdings as soon as possible to avoid a surprise when you file your taxes. Sound complicated? It can be. Please call if you want help evaluating your situation. The IRS recently announced key tax figures for 2019, using information based on the Consumer Price Index published by the Department of Labor. Use these early figures to start developing your tax strategies for next year. Tax Brackets: There are currently seven tax brackets ranging from 0 percent to 37 percent. Each of the income brackets increases between 1.8 and 2 percent. Caution: Remember, these early IRS figures are prior to any potential tax law changes currently under consideration in C Washington D.
Contribute your raise or bonus. A great time to contribute to a retirement plan is when you receive a raise or bonus. It allows you to take some or all of the additional income and invest in your future without changing your current lifestyle. Your investment will go even further if your employer offers a plan that matches your contribution. Cut your spending. Start by reviewing your ongoing expenses and creating a budget. Maybe you have a subscription you can cancel or a service provider you can contact to negotiate a lower rate. Then look for ways to reduce your spending on day-to-day expenses – like food, for example. Some ideas to lower food costs are bringing lunch to work, skipping the coffee shop, limiting dinner out at restaurants and shopping at less expensive grocery stores. Use this money to fund your account. Automate your contributions. Most plans offer a way to contribute automatically. If you have a plan through work, check to see if it has an auto-escalation feature that increases contributions over time. If you are investing in an individual plan, set up auto contributions to pull from your bank account on a monthly basis. The Social Security Administration announced a 2.8 percent boost to monthly Social Security and Supplemental Security Income (SSI) benefits for 2019. The increase is the largest in seven years, and is based on the rise in the Consumer Price Index over the past 12 months ending in September 2018. Up to $132,900 in wages will be subject to Social Security taxes, up $4,500 from 2018. This amounts to $8,239.80 in maximum annual employee Social Security payments. Any excess amounts paid due to having multiple employers can be returned to you via a credit on your tax return. For all retired workers receiving Social Security retirement benefits the estimated average monthly benefit will be $1,461 per month in 2019 – an average increase of $39 per month. SSI is the standard payment for people in need. To qualify for this payment you must have little income and few resources ($2,000 if single/$3,000 if married). A full-time student who is blind or disabled can still receive SSI benefits as long as earned income does not exceed the monthly and annual student exclusion amounts listed above. The Social Security and Medicare tax rates do not change from 2018 to 2019. Note: The above tax rates are a combination of 6.20 percent Social Security and 1.45 percent for Medicare. There is also 0.9 percent Medicare wages surtax for those with wages above $200,000 single ($250,000 joint filers) that is not reflected in these figures. Please note that your employer also pays Social Security and Medicare taxes on your behalf. These figures are reflected in the self-employed tax rates, as self-employed individuals pay both halves of the tax. Too often taxpayers receive tax surprises at year-end due to actions taken by mutual funds they own. What can add insult to injury is the unsuspecting taxpayer who recently purchases the shares in a mutual fund only to be taxed on their recent investment. How does this happen and what can you do about it? Taxable paybacks. If you purchase shares in a mutual fund just before a distribution of dividends, part of your purchase includes the dividends that are effectively paid right back to you. Not only will the asset value of your recently purchased shares in the mutual fund go down after the distribution, but you will owe tax on a distribution that is effectively your own money! Kiddie tax surprise. Many taxpayers purchase mutual funds in their children's names to take advantage of their lower-tax rates. By keeping their child’s unearned income below $2,100 the tax is low or non-existent. A surprise dividend or capital gain could expose much of this unearned income to higher tax rates. The $3,000 loss strategy. Each year, you may take a net of up to $3,000 in investment losses. Your losses can offset high rates of income tax with correct tax planning. But first, these losses need to offset capital gains. If you receive a surprise capital gain, you could be reducing the effectiveness of this tax strategy. Limit year-end activity. Plan your mutual fund moves with this year-end surprise in mind. Consider reviewing and rebalancing your funds at the beginning of the year to avoid fund purchases just prior to dividend distributions. Research your mutual funds. If you wish to avoid a year-end surprise, do a little research on your mutual funds to anticipate what will happen with the fund. Check out the historic trends of your funds to determine which are most likely to issue a surprise Form 1099 DIV or Form 1099 B (capital gain/loss). Use the knowledge to your benefit. If you like a fund and it has a practice of creating taxable events each year, consider investing in these funds within a retirement account. That way the tax implications can be part of your retirement planning. No one likes a surprise at tax time. The best course of action regarding your mutual funds is to consult with an expert who can help you navigate the options that are best for you. It's Your (and the IRS's) Lucky Day! You won a prize. Now what? When you win a prize, there are really two winners: you and the taxing authorities. Should you be fortunate enough to win that trip of a lifetime to the French Riviera in your new yacht, here is what you need to know. Prizes are taxable. Almost all prizes are taxable income. You report them on your income tax return as other income. This is the case whether your prize is cash, merchandise, or free services. The prize may be reported to the IRS. Prizes valued at $600 or more must be reported to the IRS. However, prize values below this reporting threshold may also be reported at the discretion of the sponsor of the prize. As the winner, you should look to receive the proper Form 1099-MISC. Employee awards are a different animal. When you receive a prize or something of value from your employer, different rules apply. These fall under business expense, fringe benefits, and award rules. Things like a holiday gift of a turkey or occasional service award are often (but not always) a non-taxable award. On the other hand, a bonus or prize points for merchandise as a sales award usually need to be claimed as income. Gifts and prizes have different tax rules. A different part of the tax code applies to gifts. In short, gifts received from someone that are less than the annual gift threshold ($15,000 in 2018) are not deemed prizes. Donate to charity. If you wish to avoid paying tax on the prize you can refuse the prize or opt to donate the prize to a charity. It is best to sign appropriate paperwork to assign ownership of the prize to the charity and have the prize sent directly to them as you cannot use the prize before donating it. Establish fair market value. Should you win property, like a car or vacation trip, establish the fair market value (FMV) of what you won. Hosts of prize contests often over-value the prize to aid in marketing their contest. You do not want to pay tax on an over-inflated value. So if you win merchandise, get copies of advertisements for the item. If it is a trip, document hotel rates, transportation costs and cost of meals to build a case for a lower FMV. If there is a discrepancy with the value received, show your documentation to the provider of the prize and get your 1099 value corrected. Keep good records. When you win a prize, fill out a sheet outlining the details of the event. Record the identity of the sponsor, the date, a detailed description of what was won, copies of documentation, photos of the items won, and the approximate retail value (ARV) assigned to the prize by the sponsor. Plan for the tax. Using the ARV provided to you by the sponsor, determine if you will be able to pay the tax for the prize. You may need to plan to make an estimated tax payment to avoid any surprises when you file your tax return. Remember should you be lucky enough to win a prize, ask for help to determine whether this “other income” could create a tax problem. Make Your Child a Tax-Free Millionaire! As soon as your child begins to earn income, open a Roth IRA and set a contribution goal to reach before they graduate from high school. Assuming an eight percent expected rate of return, the investments made by age 19 will grow to FORTY times its value by the time they reach 67 (current full retirement age). For example, $2,500 invested before graduation will be $100,000 at retirement. If you can bump that up to a $25,000 investment before graduation, at retirement it will be worth $1 million! Compounding interest occurs when interest is earned on the interest generated from the initial contribution. The more time the investment has to grow, the more exponential growth will occur. By starting to save prior to graduating from high school, the investment will have almost fifty years of compounding growth. Even better, while contributions to Roth IRA's must be after-tax contributions, any earnings are TAX-FREE as long as the rules are followed! Simple to say, but how do you get $25,000 into a child's Roth IRA? Here are some tips. Hire your child. Roth IRA contributions are limited to the amount of income your child earns, so earned income is key. If you own your own business or even make some money on the side, consider hiring your child to help with cleaning the office, filing or other tasks they can handle. Look for acceptable young age work ideas. Baby sitting, yard work, walking pets, shoveling, and lawn work are all good ideas to get your child earning some income at a younger age. Cash based income is harder to prove, so don't forget to keep track of the income and consider filing a tax return, even if not required. Leverage high school years. Ages 15-18 will be when your child has their highest earning potential before graduation. Summer jobs, internships and part-time jobs during the school year can produce a consistent income flow to contribute to the Roth IRA and still provide spending money. Parent or grandparent matching idea. The income earned by your child doesn't have to be directly contributed by them to the Roth IRA – it simply sets the contribution limit. Make a deal that for every dollar of income your child saves for college, a parent or grandparent contributes a matching amount to their Roth account. College and retirement savings in one! By helping your child get a head start on saving, it should ease any anxiety regarding retirement and help them focus on school, starting their career, and other personal development goals. If you have questions about Roth IRA’s or any other tax-related issues, please call to discuss them. Understanding Tax Terms: Pass-through Entities What are they? Why should you care? Small business owners have a number of options on how to organize their business for tax purposes. Many small, single owner, businesses are not incorporated, and are deemed "sole proprietors", in the eyes of the IRS. Other business entities, like C corporations, are taxed as a separate entity with distributions to owners taxed a second time as dividends. Still others are deemed "pass-through" entities like S corporations, Partnerships and Limited Liability Companies (LLC). Pass-through entities do not pay taxes at the company level. Instead, the business tax return reports the net income to the IRS, but then distributes the taxable income to their respective owners via a K-1 tax form. Each individual owner then reports their share of the K-1 net income on their individual tax return and pays the tax on this and any other personal income. The business income is taxed once instead of twice as in the case of C corporations. The business format provides owners a level of legal protection that is not available by doing business as a sole proprietor. Individual tax rates. Changes in individual tax rates have an impact on the amount of tax paid by all small businesses that are organized as pass-through entities. New 20 percent deduction. Starting in 2018, a new 20 percent qualified business income deduction is available for pass-through entities and sole proprietorships. There are limitations and other complexities involved, but the bottom line is many small business owners will see a tax break. Can you pay the tax? Small pass-through businesses must pay income tax on all their business profits. However, the business entity is NOT required to distribute cash from the company to help pay the tax. So pass-through owners could see a tax bill without money to pay the tax. Minority shareholder caution. Minority shareholders in pass-through entities are doubly cursed. They not only may not receive distributions to pay taxes due, but they are often precluded from selling their shares, and they do not have enough ownership to require distribution of funds through shareholder voting. Very popular business entity type. According to the IRS the S corporation formation is a popular business entity type with 4.6 million S corporations in 2014 – roughly twice the amount of C coporations. LLCs are quickly becoming the new entity of choice with growth from 120,000 in 1995 entities to over 1 million entities today. If you have any questions regarding your current small business organization or are looking to start a small business and need help choosing the best entity for your situation, please call. You've done your retirement homework. Your assets are reviewed, you know your financial needs, and your retirement tax plan is in place. Are you ready to enjoy retirement? Probably, but not without a plan to address what happens to many after they retire — boredom. Here are some ideas. Recommendation: Look at last year's tax return and identify the key financial drivers of your business. Do the same thing with your day-to-day operations and staffing. Recommendation: If you don't know what makes your business better than others, ask your key customers. They will tell you. Then take advantage of this information to generate new customers. There are few things as frustrating as not being paid what is owed to you. If it becomes clear the debt is not going to be paid, you might be able to recoup some of the lost money via a tax deduction. The IRS has two classifications for bad debt: business and non-business, each with its own deductibility rules. There are many ways to determine the worthlessness of a debt, but at a minimum, you should be able to produce a recap of collection efforts. You need to show the IRS that you did everything you could to collect the debt. If you determine the bad debt is valid, you can deduct it as a business expense. All bad debt not defined as business-related, is classified as non-business. For a non-business bad debt deduction, the debt must be considered 100 percent worthless. There is no partial deduction available. In addition, you need to prove that the debt is a loan intended to be repaid and not a gift – especially if loaned to a friend or family member. The best way to prove this is with a signed agreement. While no one wants to be in a position to write off debt, it’s nice to know that you can at least benefit from a tax deduction. If you find yourself in this situation or are planning to loan funds in the future, call to set up a plan of attack. Common Tax Increase Surprises I did not owe that last year! Earnings with Social Security benefits. If you are recently retired, start collecting Social Security Benefits, and then begin working part-time, you are also in for a tax surprise. These extra earnings could not only make your benefits taxable, it could result in a reduction of benefits received. Other life events. Other life events could provide a tax surprise for you. While some may have positive tax consequences, like a new birth, or becoming the head of household, others might surprise you and result in additional tax. Other common life events include retirement, death and entering/leaving school. Capital gains surprises from mutual funds. Often sales of investments are a planned event. Unfortunately, many mutual funds sell assets and then you receive a capital gain statement with a surprise taxable event. Want to avoid these surprises? Spend some time now reviewing your anticipated tax situation for 2018. By doing so, perhaps a planned “pleasant” surprise can be in store for you next year. If you have not already done so, now is the time to review your tax situation and make an estimated quarterly tax payment using Form 1040-ES. The third quarter due date is now here. SPECIAL NOTICE: With major tax law changes in place for 2018, forecasting your tax obligation is more important than ever. If you need a review of your situation consider doing so immediately to avoid any surprises at tax time. Underpayment penalty. If you do not have proper tax withholdings during the year, you could be subject to an underpayment penalty. The penalty can occur if you do not have proper withholdings throughout the year. A quick payment at the end of the year may not help avoid the underpayment penalty. W-2 withholdings have special treatment. A W-2 withholding payment can be made at any time during the year and be treated as if it was made throughout the year. If you do not have enough funds to pay the estimated quarterly payment now, you may be able to adjust your W-2 withholdings to make up the difference. Don't forget state obligations. With the exception of a few states, you are often also required to make estimated state tax payments if you're required to do so for your federal taxes. Consider conducting a review of your state obligations to ensure you meet these quarterly estimated tax payments as well. * If your income is over $150,000 ($75,000 if married filing separately), you must pay 110 percent of last year’s tax obligation to be safe from an underpayment penalty. Tax return and support. Create a file with copies of your signed tax return(s) for the year. Include any support documents provided with your filed tax return. Files in tax return order. Create your annual files to match the flow of your 1040 tax return. Here are some suggestions. Income. Copies of W-2s, 1099s, Social Security statements, interest income, K-1s, and investment activity go in this file. Charitable Donations. Create a separate file for cash donations and one for non-cash donations. Include a copy of your charitable mileage log in this file. Medical and Dental. Create a file for all your medical related expenses. Include a copy of your medical related mileage log in this file. Other itemized deduction file. In this file include all other proof of itemized deductions. This includes property tax statements, mortgage interest, and state income tax documentation. Business activity. Have a file for each hobby and business activity. Include a copy of your business mileage log in this file. Education. Create a file for all documents related to educational expenses. Include in it copies of invoices, tuition and fees. Include invoices for music lessons, instruments and any materials required to purchase for your student. Other. Put all your miscellaneous receipts into this file. This includes receipts you are unsure about like receipts for daycare, Form 1095s and any other tax related items. Statement file. Sort all your statements by vendor, then by month. Create a separate file for these statements. This can include bank statements, credit card statements, and investment account statements. Consider creating a digital back up copy of these statements and store them on a CD or USB drive. Don't allow an account to go to collection.Collections will stay on your credit report for seven years! Avoid having any of your accounts go to collections if at all possible. Medical bills and other one-time expenses are often the types of accounts that find themselves in collections. If you are unable to pay a bill in full by the due date, call the company and see if they have payment plans or other programs to get the bill paid without going to a collection company. 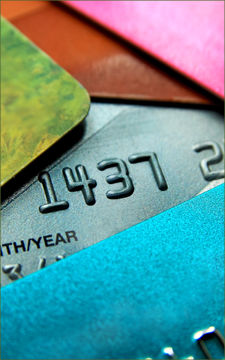 Regardless of where you are on the credit score spectrum, you should actively monitor your credit. Implementing these ideas will improve your credit score as well as your long-term financial well-being. Major tax reform will have a noticeable impact on virtually all taxpayers this year. Will your total paycheck withholdings at the end of the year line up with the new changes? 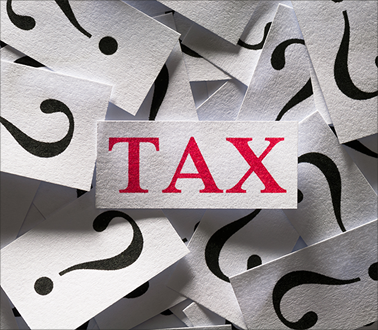 Here are a few of the major changes and why it might be a good idea to see if your withholdings will be adaquate to cover your tax obligation. There are no longer any personal exemptions. The standard deduction increased to $12,000 for individuals and $24,000 for married couples. The Child Tax Credit doubled to $2,000 per eligible child. Limits have been added to deductions for state income, property and sales taxes. Many itemized deductions are gone. This includes miscellaneous itemized deductions for investment fees, employee business expenses, and more. You may have noticed a change in your tax withholdings earlier in the year due to these changes. These withholding changes were dictated by the IRS to employers in early February. While the IRS does its best to apply the tax law changes to the withholding tables, it's not able to correctly estimate every individual tax situation. Even new W-4 forms used by employees to adjust withholdings is filled with rough estimates of the impact of these new rules. According to a recent announcement by the U.S. Government Accountability Office (GAO), as many as 30 million taxpayers may not have adaquate withholdings for 2018. If you have not already done so, now is a great time to forecast your upcoming tax liability. Doing some tax planning this summer gives you time to adjust your withholdings if needed and possibly make estimated tax payments. An accurate forecast can provide you with the peace of mind that there will be few, if any, large tax surprises this year. Watch for tax deductions on the supply list. Often schools send a list of requested supplies for the school year. Some of the items on the list are clearly for personal use (such as an eraser or a ruler) while other items on the list are often for school use and classroom use (such as 24 pencils or paper towels). Keep track of these non-cash classroom/school donations for possible charitable deductions. Donate funds versus taking the raffle ticket. Raffles, subscription drives and silent auctions are fun ways schools raise money. To maximize your ability to deduct your donations, forgo the possible prize. Then the entire donation is clearly deductible. Remember to ask for a receipt when making the donation. Don't forget your out-of-pocket expenses for your volunteer activities. Perhaps you donate your time at school functions, donate books to the school library, or help assist the teaching staff. Your out-of-pocket expenses and your mileage should be tracked for charitable deduction purposes. Teachers, save your out-of-pocket expenses. A recent survey found that 94 percent of teachers spend their own money on classroom supplies — some as much as $1,000 per school year. Teachers are allowed to deduct $250 on their tax return even if they claim the standard deduction. Use checks, not cash. If you usually provide donations to the school in the form of cash (like providing additional money to help other kids go on field trips) make those donations in the form of a check. The check will serve to help prove your donation. Bonus Savings Tip: When you get the school supply list, compare prices from online retailers to local brick-and-morter stores. You might be able to save some money — especially if you are buying for multiple kids. If you don't have time to wait for them to ship, see if a local retailer will match the price. Finally, don't forget to review state rules for educational expenses. There are often credits available for out-of-pocket school expenses and other educational expenses. Retirement funds will be used to cover your basic needs for daily life for as much as 20, 30 or even 40 years. While education for your children is important, it is secondary to your long-term well-being. Financial aid and numerous other programs are available for your child to take advantage of to help them afford college. If necessary, your child can take out student loans. While it may take years for them to repay a student loan, they will have future income potential to do so. Your income will be lower or cease upon retirement. Start saving early. Use time to help grow the value in your retirement and education savings accounts. Take advantage of employer-provided 401(k) or similar retirement programs, especially if there is an employer match. After that, look into a Coverdell Education Savings Account and a Section 529 savings account to maximize your education savings potential. Research and apply for grants and scholarships. Start researching early, as there are college scholarships available for children as young as 5 years old! Consider in-state public colleges. They are generally less expensive than private or out-of-state colleges. If an out-of-state college is preferred, check to see if they have reciprocity agreements with your home state. Look into work-study programs. Many schools provide part-time jobs for students to help them pay for school while keeping up with their studies. These programs vary based on a student's financial needs. Making financial decisions like this are tough, but with proper planning and insight a path that works for you can often be found. Call if you want to discuss your specific situation. Filing a tax return is a responsibility that all people need to follow to stay compliant with the IRS. While most people will be able to file their taxes and receive a tax return, those with more complex tax situations, or are simply a bit unlucky, could face an audit from the IRS. If you receive notification that you are to be audited, there are several things that you should do to make the process easier and ensure you get through it without any penalty. Millions of people every year receive some form of notification from the IRS that is calling something into question. While most people may overreact and assume it requires a full-blown audit, there is a chance that they just need one piece of information to finalize their review. Before doing anything, you should carefully review the letter and confirm with the IRS whether or whether or not you're going through a full audit. If it turns out you are to be audited, the next thing you need to do is gather and provide as much information as possible. You will need to collect all of your tax-related forms including your W-2 statements, bank account statements, mortgage account statements, and anything else related to income or any form of tax deduction. Having all of this organized and ready for the IRS will lead to a quicker review and determination. If you hired an accountant to prepare your taxes, or if you paid for an audit support service, you should reach out to them immediately. They will help you to gather the information you need and present it in a format that the IRS is seeking. They will also be able to answer any specific questions that the IRS may have, which can take a lot of the work off your shoulders. Going through an audit with the IRS is a stressful experience. Furthermore, it can be easy to feel defensive and angry towards the IRS agent. However, it would be a big mistake to be rude or not provide all the information they are seeking. Instead, you should focus on being polite and courteous and give as much information as promptly as possible. That will keep you on good terms with IRS during the entire process and will increase your chances of receiving a satisfactory review. Undergoing an audit can be stressful and challenging. However, there are several things that you can do after you get your notification of the review that will reduce your risk of penalty and make it a less stressful experience. You should contact your qualified tax professional to see what resources are available for you during an audit. Should You Expense or Depreciate Your Capital Asset? The annual amount of qualified assets that may be expensed (instead of depreciated) was raised to $1 million for 2018 and beyond. This benefit can be maximized as long as the total assets purchased by your business don't exceed $2.5 million. Qualified purchases can be new or used equipment, as well as qualified software placed in service during the year. The recent tax law change also increased the additional first-year bonus depreciation to 100 percent from 50 percent of the cost of qualified property. To qualify the property must be purchased and placed in service after Sept. 27, 2017 and before 2023. After that, an annual phaseout lowers the deduction percentage. Property can be new or used, but it can't be in use by the taxpayer before it was acquired. There are a few exclusions for electrical energy and gas or steam distribution. Not interested in claiming the bonus depreciation expense? Then you may choose to opt out of this provision for each category (class) of property you place in service. Taking advantage of these provisions may be good for your business, but not always. Remember if you use these special asset-expensing provisions, depreciation expense taken this year is given up in future years. How many future years depend on the recovery period of the asset, but the additional tax exposure could be up to two decades! This is especially important to consider if your company is organized as a pass-through entity, like an S-Corporation, as more income could be exposed to higher marginal taxes in 2026 when rates are currently set to increase by 2-4 percent. The short term tax savings these two provisions provide is often too good to pass up. However, if you have some predictability in your business, it probably makes sense to forecast your projected pre-tax earnings with and without the accelerated depreciation to ensure you are making the right long-term tax decision. Here are five common retirement planning mistakes and steps you can take to avoid them. Surprisingly, most do not know how much money is needed for retirement. A retirement plan should consider how long you expect to live, establish an estimate of the amount of money you will need, and consider your desired lifestyle during retirement. Your plan should have measurable goals that can then be broken down into a reasonable way to reach them. Action item. If you have a plan, review it for possible revisions. If you do not, consider getting one put together as soon as possible. One of the most powerful tools for a well-funded retirement is to start saving for your retirement at an early age. The sooner you start saving the better off you will be. Action item. Open a retirement account and start saving now. Increase the percent of your pay that you place in tax-advantaged retirement saving accounts. This includes IRAs, 401(k)s, and other plans. Many employers have plans available to help their employees save for retirement. If your company has a pension plan, understand how it works and how much you can expect to receive upon retirement. If your company has a retirement plan contribution-matching program, take full advantage of this free money by making minimum contributions required to receive this employer match. Action item. Review your employer-provided retirement saving options. Maximize the benefits they are providing. Do you plan on working during retirement or avoiding work at all costs? Do you plan on having a pension or Social Security covering all your retirement needs or none of it? Too often retirees plan the extremes, but reality is something in between. For example, if you are someone who plans to have your pension plan fail and Social Security go broke, you may be taking too conservative an approach. Action item. Create a range of retirement funding scenarios, not just the worst case or best-case scenario. Consider no work or part-time work. Consider some contribution from Social Security and potential pension income if your employer has a program. Are you being realistic in your future retirement plans? Have you correctly estimated the cost of health insurance? Have you really thought about the impact of relocating to a warmer climate? How important is living close to family and friends? Will you really downsize your home after the kids leave? Action item. If you have a retirement plan that includes relocating or traveling to far off places, consider test-driving this idea before you implement it. You may be surprised at the result. Retirement should be something to look forward to, and with a little planning it can be a reality for most of us. A U.S. Supreme Court ruling last week involving the state of South Dakota vs Wayfair (an online furniture retailer) opens the door for states to impose sales taxes on online retailers located outside their borders. State governments. States will be able to collect hundreds of millions of additional tax revenue from purchases made at Amazon, Overstock and other online retailers. Brick-and-mortar stores. Physical stores that are collecting sales taxes will no longer be at a price disadvantage with online competition that hadn't been. Online businesses. Not only will online sellers likely have to raise their effective prices to pay the state taxes, they now may have to contend with a complex patchwork of state and local tax jurisdictions. Consumers. Consumers that had been enjoying lower taxes on online purchases are likely to have to pay more after this ruling. Small businesses. Trying to keep track of 50 different sets of sales tax rules and complying with this ever-changing rate environment will be difficult. The federal standard in place since the 1990s is that states can only impose tax collection on businesses that have a physical presence within their borders. Many states try to get around this by imposing “use taxes” on consumers who make purchases from out-of-state retailers. But use taxes collection is hard to enforce and are widely ignored by taxpayers. In the recent Supreme Court ruling, South Dakota successfully challenged the physical presence standard in favor of “economic presence,” allowing states to require businesses to collect these taxes even if they are located elsewhere. The ruling is based on South Dakota’s simplified tax structure, which collects only at the state level, avoiding the complexity of local tax compliance. South Dakota has a compliance threshold that exempts small businesses with less than either $100,000 in sales or 200 transactions of products or services delivered into the state. State governments will have to put their collection systems in place, which will take time. Some will first need to pass new laws authorizing the taxation of online transactions using the economic versus physical presence standard. Congress may feel compelled to act with legislation simplifying the tax jurisdiction of state and local governments. There’s no doubt the Supreme Court ruling has caused the ground to shift for any businesses selling outside their state, and the total effect of the changes is still unknown. Call if you have any questions about this or other tax matters. Employees must have worked for at least a year. Up to 12 weeks of leave are eligible for the credit. The $72,000 salary cap in 2018 will rise with inflation every year. The credit currently expires after the 2019 tax year. Congress’ intention is to test adoption of the credit and later make it permanent if it’s popular with employers. It requires administrative setup. You’ll have to draft a leave policy separate from your policies for regular vacation, personal, medical and sick time off. It may create an employee expectation. If you haven’t provided a paid leave benefit before but assess it’s worth it due to the credit, it may be a letdown if the credit expires and you no longer offer the benefit to your employees. Every year thousands of taxpayers are hit with a heavy 50% penalty for not withdrawing enough money from their retirement plan(s). Here is what you need to know to ensure this does not happen to you or someone you know. Who is subject to Required Minimum Distribution (RMD) rules? When to use: Your spouse is the sole beneficiary AND your spouse is more than 10 years younger than you. How much do I need to take out and when? Once you find the correct table, determine your life expectancy and divide the result by the balance in your account as of December 31st of the previous year. The amount must be withdrawn by December 31st of the year. Exception: in your initial RMD year you have until April 1st of the following year to withdraw the funds. Thankfully, many retirement account administrators will make the RMD calculation for you. But it is still your responsibility to ensure the calculation is correct. The deadlines are strict so don’t miss them. The 50% penalty can be applied each year, so the impact can be dramatic over time. On the other hand, if you are penalized and have a defensible reason you did not take the RMD, you should try to get the penalty reduced or eliminated. Remember to conduct the calculation each year. Not only do life expectancy numbers change as you age, so does the balance in your retirement savings accounts. Want to make sure this doesn’t happen to you? Here are some tips. Calculate the RMD for each account in early January each year. Set up automatic periodic withdrawals from the account to accommodate the RMD. Make a review of your accounts part of your tax planning each year. Ask for help. At first, finding the correct life expectancy table and determining the correct calculation can be overwhelming. Have someone review your calculations until you feel comfortable with the process. Connect your RMD to a key event like your birthday or anniversary. Then give yourself the additional gift of a payday out of your retirement account. * Can be later if you are still actively working. If, however, you are a 5% or greater owner of the business sponsoring the retirement plan you must take an RMD when 70 ½ whether retired or not. In order to continue receiving a Premium Tax Credit in 2017 you must file income tax returns as soon as possible. Any delay could stop eligibility for advance payments of this credit during 2017. Remember, these payments help reduce each month’s health insurance premium. It could also generate notices from the IRS to pay back some or all 2016 advance payments of the credit. Those who use the Affordable Care Act to purchase health insurance on the Marketplace are often eligible to reduce their insurance premium using the Premium Tax Credit. Many had the credit sent directly to their health insurance company each month to reduce their premium. This is called “advance payments of the premium tax credit” by the IRS. The IRS is now reviews payments of the Premium Tax Credit. To continue receiving the credit in 2017 you must file tax returns. If you filed an extension and do not plan to file your tax return until October 15th, you could be ruled ineligible for the credit in 2017 because you have not yet filed your tax return. Your insurance premiums could increase in 2017 if you are ruled ineligible for the advance premium credit payment. This could cause financial hardship. You may be asked to repay 2016 Premium Tax Credit Payments as well. If you received any Premium Tax Credit or expect to do so in the future, you must file tax returns as soon as possible per the IRS. Call if you need a review of your situation. Internal Revenue Service Commissioner John Koskinen has sent a message of thanks to tax professionals and their partners for managing to get through a “challenging” tax season. Koskinen—who has faced his own challenges this tax season dealing with steep budget cuts that sharply reduced IRS customer service hours and personnel—also thanked tax pros for their patience. House Ways and Means Committee chairman Paul Ryan, R-Wis., whose committee oversees the IRS, also had a statement on Tax Day about his plans for reforming the tax code and the IRS. • H.R. 1058, Taxpayer Bill of Rights Act of 2015, which would incorporate a taxpayer’s bill of rights into the core responsibilities of the IRS commissioner. This would include rights to quality service, to pay no more than the correct amount of tax, to privacy, and to challenge the IRS’s decisions and be heard. • H.R. 1152, would prohibit IRS employees from using personal email for official government business. • H.R. 1026, Taxpayer Knowledge of IRS Investigations Act, would amend the tax code to stop the IRS from using a provision designed to protect taxpayer privacy to instead protect government employees who improperly look at or reveal taxpayer information. • H.R. 1295, would amend the tax code to improve the process for making determinations with respect to whether organizations are exempt from taxation under section 501(c)4 of such code. The bill would help prevent the IRS from targeting organizations because of their political or religious beliefs when filing for tax-exempt status. This legislation allows groups to declare their tax-exempt status rather than wait to gain approval from the IRS. It also gives these groups access to court to challenge IRS decisions. • H.R. 709, the Prevent Targeting at the IRS Act, would make political targeting a fireable offense at the IRS. The legislation would authorize the IRS to terminate employees who target individuals because of their political beliefs. • H.R. 1104, Fair Treatment for All Gifts Act, would protect Americans who donate to tax-exempt organizations from the threat of a gift tax audit. Online Business-Is It Possible without Paying Taxes? With the trends changing in the world, a larger population is showing interest in setting up their own ventures. Internet exposure and a wide variety of innovative courses, both technical and non-technical have opened new vistas to all those who want to try their luck in personal set-ups. There are an array of services one can provide to one’s customers by initiating an online business of one’s own where one can invest and earn as per one’s convenience as opposed to a periodically-paid job where one has to stay dependent on a time-bound salary and rare raises. It’s tougher to land a good job with numerous applicants vying for the same position in a single industry, not to talk of many industries operating all over the world., online businesses seem to be more in the business these days considering the current job scenario. But is it as easy to run one’s own business as it appears in the first glance? Online business is much more than socializing with your folk and friends on the social networking sites which also has taxes come tagged with it. Though you can go a long way in your business provided you have an idea how to make your website and promote your webpage. To be a success in your own online business, you will be required to think in a more mature and professional manner. Getting a sharpened mind with each and every experience from the start is also a requirement of taking a business to a profitable position. When starting a business, never think that you will get an exemption from the taxes. You’ll have to pay them wherever necessary whether these are sales tax, use tax, income tax or any other tax. If you are in the dark regarding these and someone on a budget, seek the assistance of affordable tax preparation services. The other most important thing that you need to take into account that any type of business you are going to start, it should be in the compliance of the regulations and laws of your land. It is a great idea to mention in the terms and conditions of your website that the products sold by your company are taxable to the customers if the state has such business guidelines. The patrons coming to your website to purchase products will thus feel privileged that you are transparent about the sources of your income. Things can however, turn for the worse if as an owner of online business, you try to evade taxes. Make it one of your first and foremost preferences to get in touch with town hall of your state government or a lawyer to discuss legalities involved in online business. All online transactions have corresponding tax payment whether these are big business or if these are small business tax returns. It is a primary requisite on your part to acquire knowledge about everything that is related to taxes in with regard to online business. On this note, there are some states that have laws that validate sale transactions which are tax-free and there are some that have different percentages of tax collection. When securities markets swoon and apprehensive investors bail out of their holdings, they console themselves with deductions for capital losses when it comes time to file taxes. But long-standing rules limit deductions for losses on sales or redemptions of shares of individual stocks, bonds, mutual fund shares, and exchange-traded funds (ETFs). Still, resourceful investors will find ways to work around these limits, if they know the full details of IRS rules. The big hurdle is IRC Section 1211, which caps the deduction at $3,000 for both married couples and single filers. (Married couples who file separate returns are limited to a maximum deduction of $1,500 per person.) These dollar limits haven’t been revised upward since they went on the books in 1978, when Jimmy Carter was in the White House. 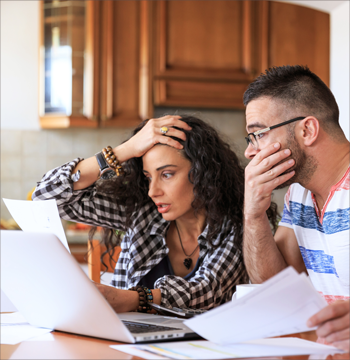 In my experience, many individuals focus just on the $3,000 ceiling and forget that the tax code authorizes them to be resourceful when they incur capital losses. Section 1211 allows capital gains on investments to be fully offset by capital losses on other investments. There’s also another significant break that investors fail to take advantage of: Losses on sales or redemptions of stocks, bonds, mutual funds or ETFs held in taxable accounts can be used to offset gains on sales of capital assets other than stocks, bonds, and so on. This opens up many possibilities—for instance, profits on sales of collectibles and vacation homes. Take, for example, the case of Marilyn Paul. Marilyn plans to sell her personal residence and anticipates a capital gain greater than the exclusion amount of up to $500,000 for married couples filing jointly or $250,000 for singles and married couples filing separate returns. Marilyn should consider realizing losses on, say, shares of stock or mutual funds to offset the taxable part of her gain. How much can be deducted? It depends. The law allows capital gains to be offset by capital losses realized during the same tax year, up to the total amount of capital gains. It doesn’t matter whether the gains and losses are a mixture of short- and long-term; losses can be used to offset capital gains. Suppose net capital losses exceed capital gains. How much tax relief becomes available for 2014? Section 1211 blesses offsets of net losses against as much as $3,000 of ordinary income—a wide-ranging category that includes salaries, pensions, and interest. If necessary, however, investors can carry forward unused losses over $3,000 into 2015 and succeeding years. An example: Nat and Patricia Rosasco expect to have long-term losses of $60,000 and long-term gains of $40,000, resulting in a net long-term loss of $20,000 for 2014. On Form 1040’s Schedule D, they subtract $3,000 of their loss from ordinary income, leaving them with a carryforward of $17,000 from 2014 into 2015. On the Rosasco’s 2015 Schedule D, they use the remaining loss (unless offset by capital gains) to trim ordinary income by up to $3,000, leaving them with a carryforward of $14,000 from 2015 to 2016. Another state of affairs—this one from the pages of my real-life client roster—includes a married couple I’ll call Rudolph and Flavia Colman. Rudy is a 30-something investor with an unshakeable faith in the “market-timing fairy.” Alas and unsurprisingly, Rudy relied on a seer who was no Nostradamus. The Colmans suffered losses of $90,000 when the dot-com bubble burst. In the event that the couple realizes no future capital gains and the cap stays set at $3,000, they’ll write off all of their losses only after the passage of 30—count ’em, 30—years, a number not necessarily daunting, as Rudy is hale and hearty, swims a mile just about every day, and gets 24/7/365 TLC from his devoted spouse. What if Rudy dies before they’re able to deduct the entire $90,000? Will this be a problem for Flavia? Not at all, provided she lives long enough. After filing their last joint 1040 form, she just continues to claim unused losses in subsequent years on her own returns, whether filed singly or—should she remarry—jointly with her next husband. So why was it wise for the shares to be owned jointly? Had Rudy been the sole owner at the time of his death, that would’ve derailed her carryforward. How Does a Corporate ‘Tax Inversion’ Work? The U.S. government has been promising a crackdown on tax inversion deals for months. Yet the measures announced Monday may not be enough of a disincentive for companies like Pfizer or AbbVie, which are tempted by the savings involved in snapping up smaller foreign rivals and re-domiciling themselves to avoid America’s labyrinthine tax system. The new rules, aimed at “when possible, stopping” inversion deals, according to the U.S. Treasury, aim to close a number of tax loopholes that make inversion deals possible. One element will stop companies using so-called “hopscotch” loans, which allow a redomiciled parent company to access earnings from its foreign subsidiaries without raising its tax bill. Another would stop inverted companies transferring cash or property from a “controlled foreign corporation” to their new parent company to avoid U.S. tax. A further measure stops companies using special dividends and other one-off payments to make sure they come in under the threshold of 80 percent of the combined company, which is needed to make an inversion happen. These new regulations are part of efforts across the world to clamp down on companies redomiciling to avoid paying tax in their home country. The Organisation for Economic Co-operation and Development (OECD) announced plans to curb corporate tax avoidance last week. Yet questions remain over whether the measures will have the effect Treasury Secretary Jack Lew desires – making some already mooted deals “no longer make sense”. Although the plunge in the share prices of AstraZeneca, Shire and Smith & Nephew, all potential or actual targets for tax inversion-related deals, in trading on Tuesday suggests some think he is right. Pfizer cannot come back with a raised bid for AstraZeneca until November 26. Its previous $118-billion bid was rejected, and partly caused the furore which led to Lew’s actions. “Today’s measures do little to negatively impact the economic benefit from the proposed Pfizer acquisition of AstraZeneca,” Andrew Baum, pharmaceuticals analyst at Citi, wrote in a research note. Pfizer could still reduce its tax rate from 28 percent to 22 percent post inversion, according to Baum’s calculations. Shire’s management, possibly fortuitously, insisted on a $500-million break fee if the $55-billion deal, which would reduce AbbVie’s average tax from 22 percent to 13 percent by 2016, does not complete for political reasons. This demonstrates the shadows cast over inversion deals months ago. However, it is still unclear whether the new rules will affect deals which have been agreed but not yet completed. Medical devices specialist Medtronic announced in June a $42.9 billion cash-and-share deal to buy Covidien, a smaller rival which was founded in the U.S. but moved to Dublin for tax purposes. It has already run into trouble with some shareholders, who may have to pay extra capital gains tax on their shares, over the inversion element of the deal – particularly as some Medtronic executives and board members have received extra payments to make up for these effects. Generic drugs specialist Mylan plans to cut its tax bill by buying Abbott Laboratories’ branded specialty and generics business in developed markets outside the U.S in a $5.3 billion deal, and headquartering itself in the Netherlands. The deal is scheduled to close early next year, so could still be impacted by the new measures. Unless you’ve been living in a remote island for the last few years, you’ve heard about crowdfunding or stories of people raising thousands or millions of dollars online. In fact, there’s been so much chatter out there about crowdfunding that people love to throw out the line “yeah, I’ve heard there are something like 500 crowdfunding sites.” While hundreds of sites may be popping up, not all of them have real communities and funding successes under their belt. Which begs the question… what crowdfunding site is best for you? As a crowdfunding industry insider, I thought I’d give you an easy guide for which site to go to for your crowdfunding needs. I’ll start with a tiny overview of the industry, a short primer on the different types of crowdfunding so you know what you’re looking for, and then I’ll get to specific recommendations for you. Collaboration on the web is an area of exponential growth. Crowdfunding, or collaborative funding via the web, is one of the standouts for growth in this evolving collaborative economy. The Crowdfunding Industry Report by Massolution put out data showing the overall crowdfunding industry has raised $2.7 billion in 2012, across more than 1 million individual campaigns globally. In 2013 the industry is projected to grow to $5.1 billion. 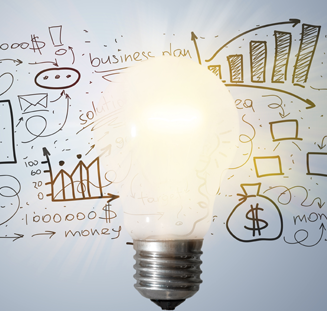 Some of the most interesting developments in crowdfunding, which are expected to grow in the months and years ahead, include: investment crowdfunding (becoming a shareholder in a company), localization (funding focused on participants in specific cities and neighborhoods), mobile solutions, and group-based approaches. The JOBS Act that was passed in April of 2012 paved the way to investment crowdfunding, but the JOBS Act Rulings by the SEC have yet to be fully implemented to formally kick the market off. Expect big movement and activity in this area in 2013 and 2014. There are 2 main models or types of crowdfunding. The first is what’s called donation-based funding. The birth of crowdfunding has come through this model, where funders donate via a collaborative goal based process in return for products, perks or rewards. The second and more recent model is investment crowdfunding, where businesses seeking capital sell ownership stakes online in the form of equity or debt. In this model, individuals who fund become owners or shareholders and have a potential for financial return, unlike in the donation model. Business owners are using different crowdfunding sites than musicians. Musicians are using different sites from causes and charities. Below is a list of crowdfunding sites that have different models and focuses. This list can help you find the right place for your crowdfunding goals and needs. While Kickstarter maintains a tighter focus and curates the creative projects approved on its site, Indiegogo approves donation-based fundraising campaigns for most anything — music, hobbyists, personal finance needs, charities and whatever else you could think of (except investment). They have had international growth because of their flexibility, broad approach and their early start in the industry. Crowdfunder.com is the platform for raising investment (not rewards), and has a one of the largest and fastest growing network of investors. It was recently featured on Fox News as the new breed of crowdfunding due to the story about a $2 Billion exit of a crowdfunded company. After getting rewards-based funding on Kickstarter or Indiegogo, companies are often giving the crowd the opportunity to invest at Crowdfunder to raise more formal Seed & Series A rounds. Crowdfunder offers equity crowdfunding currently only from individuals + angels + VCs, and was a leading participant in the JOBS Act legislation. Rockethub powers donation-based funding for a wide variety of creative projects. What’s unique about RocketHub is their FuelPad and LaunchPad programs that help campaign owners and potential promotion and marketing partners connect and collaborate for the success of a campaign. Crowdrise is a place for donation-based funding for Causes and Charity. They’ve attracted a community of do-gooders and and fund all kinds of inspiring causes and needs. A unique Points System on Crowdrise helps track and reveal how much charitable impact members and organizations are making. Somolend is a site for lending for small businesses in the US, providing debt-based investment funding to qualified businesses with existing operations and revenue. Somolend has partnered with banks to provide loans, as well as helping small business owners bring their friends and family into the effort. With their Midwest roots, a strong founder who was a leading participant in the JOBS Act legislation, and their focus and lead in the local small business market, Somolend has begun expanding into multiple cities and markets in the US. If you’re a tech startup with a shiny lead investor already signed on, or looking for for Silicon Valley momentum, then there are angels and institutions finding investments through AngelList. For a long while AngelList didn’t say that they did crowdfunding, which makes sense as they have catered to the investment establishment of VCs in tech startups, but now they’re getting into the game. The accredited investors and institutions on AngelList have been funding a growing number of top tech startup deals. You might want to create your own crowdfunding community to support donation-based fundraising for a specific group or niche in the market. Invested.in is a Venice, CA based company that is a top name “white label” software provider, giving you the tools to get started and grow your own. These 10 crowdfunding sites cover most campaign types or funding goals you might have. Whether you’re looking to fundraise or not, go check out the sites here that grab your attention and get involved in this collaborative community. Crowdfunding has revitalized the Arts at a time when public programs that support it are steadily dying off. Crowdfunding is growing a market for impact investing in social enterprises, marrying the worlds of entrepreneurship and philanthropy, and helping a broader base of investors to back companies for both profits and purpose. Crowdfunding is accelerating angel investing and creating an entirely new market for investment crowdfunding for businesses. So get involved and join a crowdfunding community today. You’ll make a difference for a project or business owner, and also help build a new and more collaborative economy. *Disclosure: I’m the CEO of Crowdfunder and have personal relationships with many of the founders and teams at the sites listed, though I stand behind my picks here as guidance of value for people looking for the right site. Whenever one company or a small group of companies is able to wriggle free of the corporate tax, economists face a dilemma. On the one hand, there is some comfort in the fact that the impact of the corporate tax – our most economically damaging tax – has been lessened. On the other hand, there is the economic inefficiency that results from the unfairness of allowing a lucky few to escape the tax while others are left bearing the burden. For example, suppose Congress passed a law randomly granting one out of every 10 corporations complete exemption from corporate tax. If the damage of the tax is large relative to the harm of an uneven playing field within the corporate sector, this new law could be a net plus for the economy. Alternatively, if the distortions of favoring one group of firms over another are too costly, the new law hurts economic growth. Of course, in the real world tax breaks are not assigned randomly. They go to astute lobbyers and to those with skilled tax planners. Nevertheless, although our hypothetical random assignment of tax benefits may seem silly and politically unsound, it would probably result in better economic outcomes than the way tax breaks actually come into existence. First, random assignment of tax benefits would not require the beneficiaries to act differently than they would otherwise. For a company to qualify for a legislated tax benefit, it usually must satisfy requirements that may cause it to change its business practices. Second, large-scale random assignment of benefits would distribute them evenly over the economy so no one industry would be particularly favored. In contrast, tax planning and legislated tax breaks usually concentrate tax benefits in some industries and leave others out. Unless there is some clear reason to try to second-guess the free market, a tax code that favors one industry over another slows economic growth. Third, random assignment of tax benefits would not entail the costs of planning and compliance that often significantly reduce the direct tax benefits companies enjoy. These costs come in a variety of forms. There are the out-of-pocket costs of professional fees paid to lawyers, accountants, lobbyists, and consultants. And there are the distractions to management and the drain of time to employees who must attend to compliance and planning issues. Iron Mountain, Inc., the document storage company, became a REIT earlier this year. The company estimates its total cost of conversion to REIT status will be between $185 and $200 million. Equinix Inc. runs large-scale data centers and expects to become a REIT in 2015. It estimates its total conversion costs will be $84 million. The textbooks and the blue ribbon commissions that study tax reform tell us that our tax system should be simple (low compliance costs) and neutral (not interfere with free market business practices). REIT conversions move us in the opposite direction. But in a market where investors are desperate for yield, REITs have become extremely popular. Hedge funds unceasingly prowl for conversion candidates. Bankers, lawyers, and accountants are generating huge fees. Congress will have a heck of a time taking the punch bowl away from this party. Perhaps, you may say, REITs provide benefits to the economy that make all the costs worthwhile. The usual policy justification is that REITs allow small investors the opportunity to diversify into well-managed real estate. But most large converted REITs were already publicly traded before, so it is hard to see how REIT status improves small investor access to the stock of these companies. If the R and E in REIT stood for research and experimentation — that is, if tax-favored entities were doing science and developing new technology — tax privileges might be justified by positive externalities these activities generate. But what policy justification is there for subsidizing commercial real estate? In fact, regarding casino REITs it is easy to make the case that the associated externalities (like gambling addiction) are negative. If we really wanted to help middle-income taxpayers with their investments and promote their financial security, we would not be building more gambling houses.